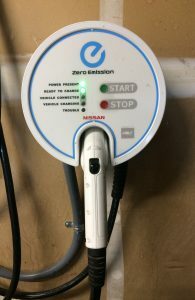 The City of Sonoma has an Electric Vehicle Charging Station located in the public parking lot at 152 East Napa Street (enter from East Napa Street near First Street East). There is no cost to use the EV charger. A ChargePoint Card or phone app works best to activate the charging station. If using a Visa, Discover, American Express, or paypass card please contact 1-888-758-4389 and the charging station will be unlocked remotely. Please contact (707) 938-3332 for assistance with station maintenance. 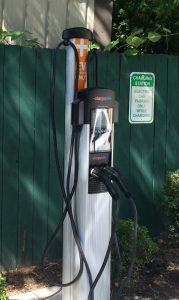 EV charging stations are also available at several hotels in Sonoma, including the El Pueblo Inn, Sonoma Valley Inn, MacArthur Place Inn, and the Inn at Sonoma. Policies regarding access to the general public vary by hotel. The City of Sonoma has Expedited Permitting for EV Charging Stations.